Looking for dance lessons for our August wedding. Preferably a choreographer to help us with our first dance. Interested in lessons for myself and daughter. My nephew is interested in some dance lessons (ballroom) for himself and his girlfriend. He lives in the Hatfield, PA area and is interested in lessons over the christmas holiday season. My nephew and his girlfriend are college students. we are parents of the groom and would like to learn to dance gracefully for our son's wedding. 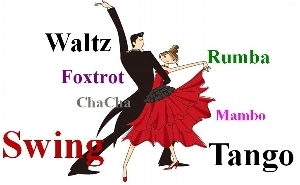 I'm looking to get ballroom dancing lessons as a present for my mother's retirement. She' 65 years old. The lessons would also include her husband, also 65 years old. So, I'm looking for couples lessons.